Which got us to thinking: What are the top neighborhoods to live in for an easy commute to Long Island City? Lots of people have opinions on this! (Some, of course, such as developers and real estate agents, also have vested interests in the topic.) We asked around to find out what areas of the city are prime spots to check out if you work at Amazon HQ2, but don’t really want to—or can't—live right there. So different strokes for different folks. “It really depends on what you’re looking for. Do you want a place with proximity to parks? Are you more of the car culture lifestyle? What are you willing to trade in terms of distance and convenience?” says Robert Whalen, a broker with Halstead. "Amazon HQ staff, working in Long Island City, will most likely think tri-borough thoughts when considering their housing options," says Aleksandra Scepanovic, managing director of Ideal Properties Group. Perhaps the obvious choice, the neighborhood immediately to the northeast is attractive for a variety of reasons, not the least of which is the fact that it is well established with a variety of housing options. “It’s a mature community. It has everything. It’s been a full, complete neighborhood for a long time,” says Whalen, who notes that the high-density area has housing stock that includes multi- and single-family houses, as well as new developments. 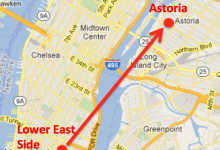 “Astoria is packed full of great shops, cafes, bars and restaurants. It’s maybe a 10 minute commute at most to LIC. 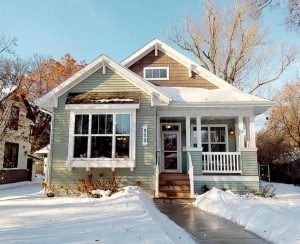 It has a great neighborhood vibe, but you still feel like you live in the city. With access to the N,W, R, and M trains, it is also one of the few Queens neighborhoods with access to multiple trains,” says Zachary Emery, a salesperson at Citi Habitats. The walkable nature of Astoria (both to work, and in daily life) will be a good fit for younger people, says Andrew Barrocas, CEO of MNS. "In terms of affordability, Amazonian renters will find Astoria their best ally, with prices ranging from $1,800 for studios to $2,800/month for three-bedroom apartments," says Scepanovic. 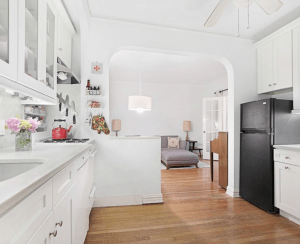 "Astoria is home to most affordable one bedroom apartments, ranging from $630K to $680K. If a two-bedroom unit is of interest, Astoria would again lead in affordability; expect to be set back by close to $800K." Astoria may be the most obvious, but Sunnyside is the buzziest. “Sunnyside all the way. 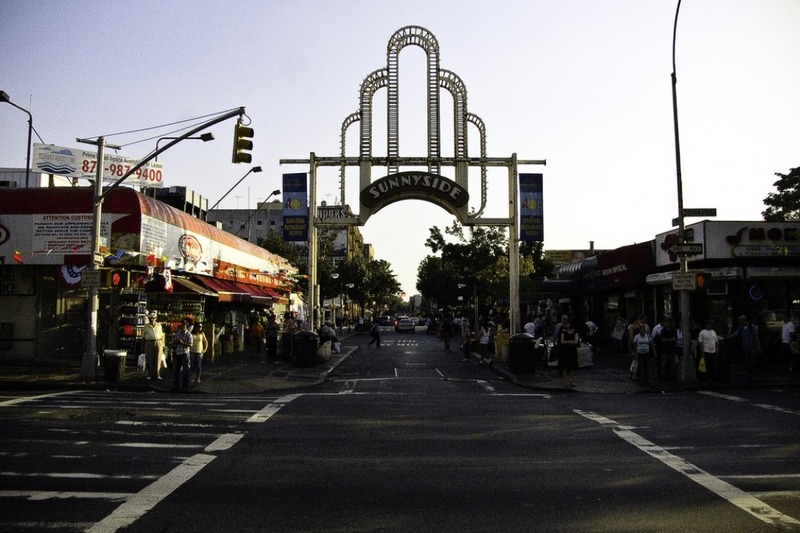 It is the most undervalued neighborhood in Queens easily. You can find really good deals in Sunnyside,” says Lauren Bennett, a Corcoran agent who herself just bought a condo in the neighborhood (and is moving from Long Island City). “Sunnyside is a hidden gem in my opinion,” says Emery. “It’s the slightly more affordable alternative to Astoria and it has its fair share of amazing restaurants, bars, and cafes. You also get great views of LIC and Midtown Manhattan when waiting for your train on the elevated tracks.” (That would be the 7 train, which will get you to Long Island City in a quick 15 minutes; you can be at Grand Central Terminal in about 20.) 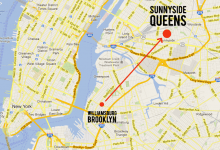 For Emery, Sunnyside provides many of the same advantages of Astoria. 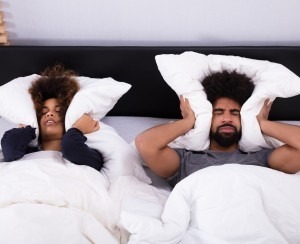 “Living in either of these neighborhoods is like living close enough to the party, without having to hear it when you’re trying to sleep,” he says. That distance also translates to more affordability, making these areas attractive to families and younger, presumably lower-paid people—but expect that to trend upward. “With Amazon’s move, this will slowly change. Areas that will see significant home price changes include Jackson Heights—where the current median home sale price is $385,000—Elmhurst ($438,000 median), Rego Park ($370,000 median) and Forest Hills ($399,000 median),” says Robert Demeter, real estate writer at PropertyShark. While these are hardly under-the-radar (quite the opposite), those with deep pockets and an appetite for the good life should look to nearby Greenpoint, and Williamsburg. Josh Young, director of market rate leasing for Clinton Management, which operates Level BK and 1 North Fourth, points to the wealth of conveniences and diversions in the areas. Citi Habitats’ agent J.D. 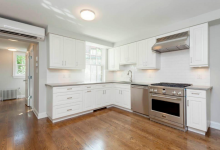 Sharpe is bullish on the further afield Boerum Hill. 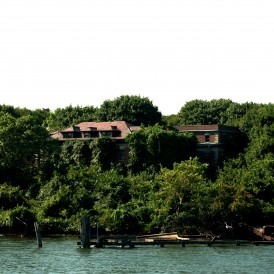 It’s not all about Brooklyn and Queens; consider thinking outside the outer borough. As Jessica Kaufman, a broker at Citi Habitats says, Murray Hill has a lot to offer Amazon HQ2 employees, and (possible bonus) it’s in Manhattan. "For Amazon HQ workers who find themselves wanting to commit more to New York City through real estate ownership, the most affordable studios [currently] are to be found in Midtown East [with a] median asking price being around $470K." says Scepanovic. The 7 train gets you to Long Island City in about 20 minutes, and a ferry is an option in the area as well (there’s a stop at 34th Street). “The neighborhood’s accessibility to Grand Central makes it a convenient area to live, as it's close to downtown Manhattan and easy to get crosstown," Kaufman says.